3mm points for hard-to-reach areas. Available in 3 grits – hard, medium, and high-shine. 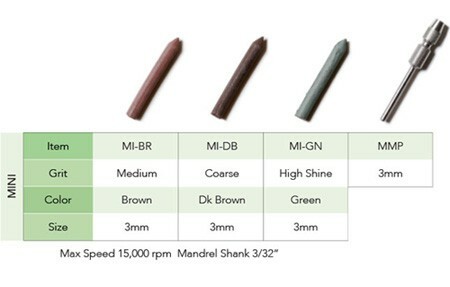 Use the MMP mandrel. 2mm points for hard-to-reach areas. Available in a variety of grits. Use the MA-20 mandrel.